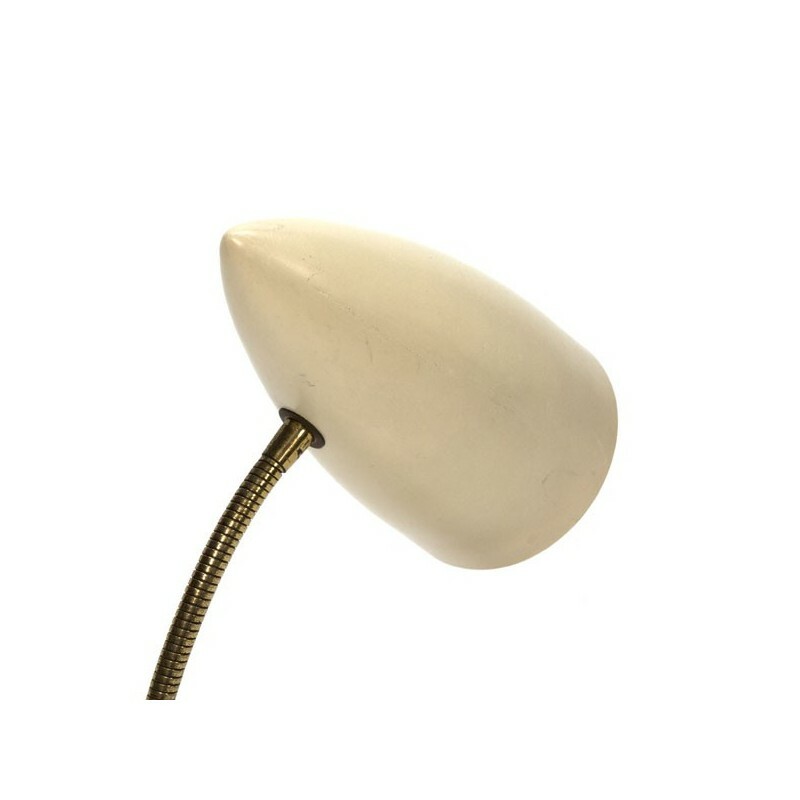 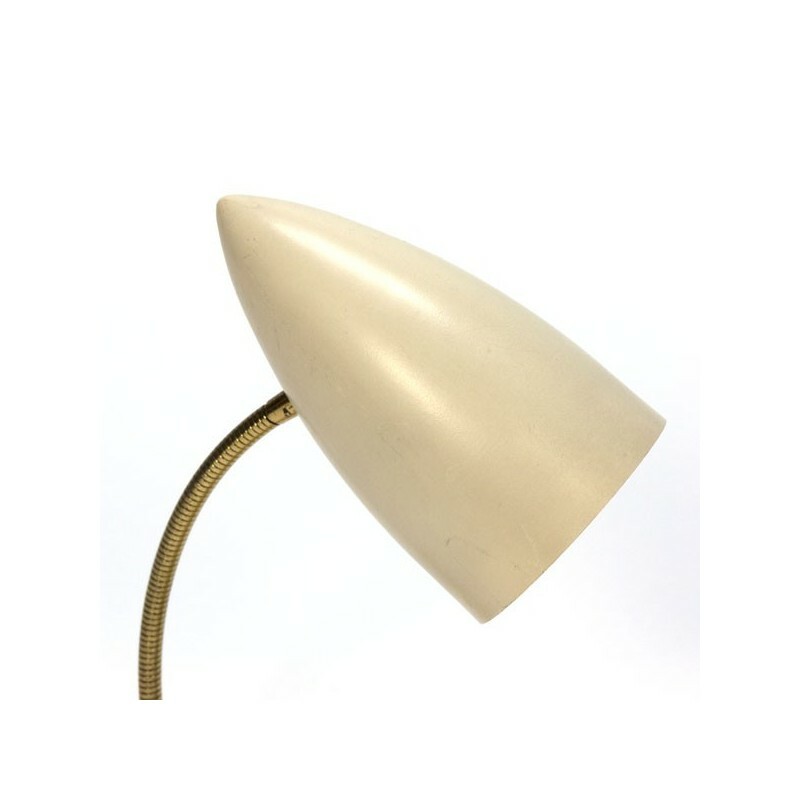 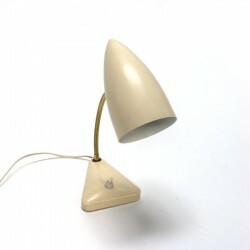 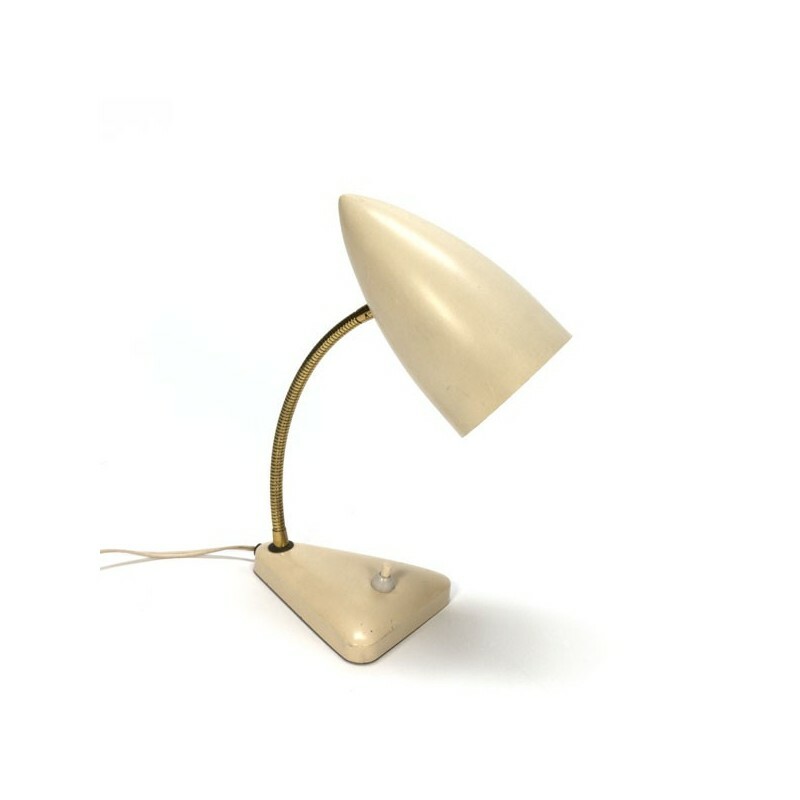 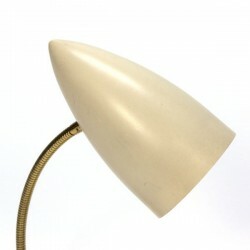 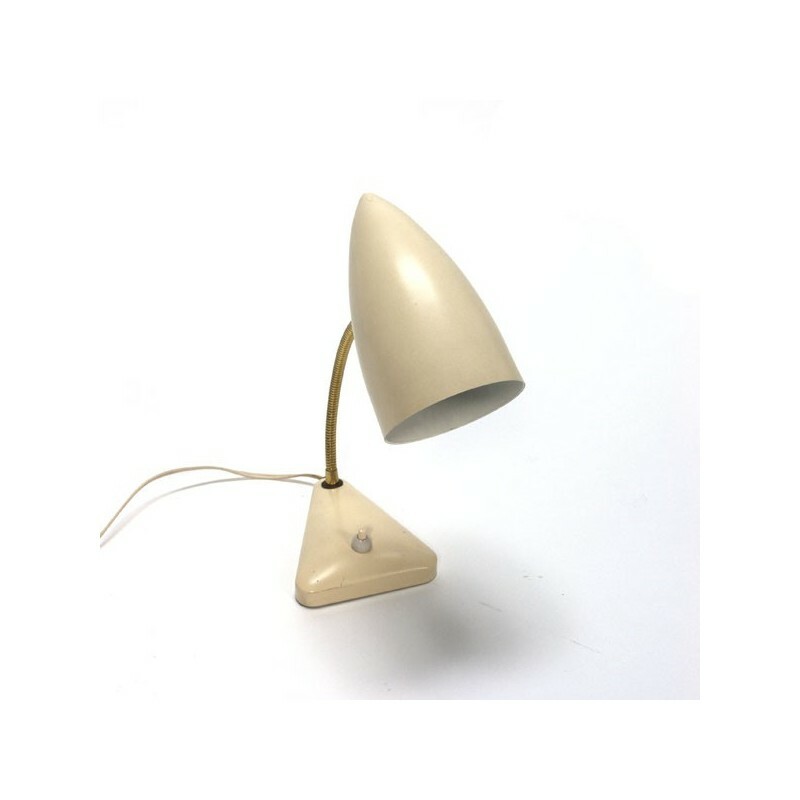 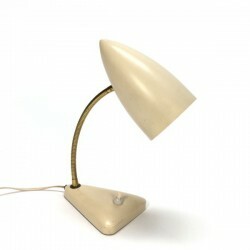 Vintage table lamp from the fifties with a beautifully shaped cap. The condition is good, see the detail photos. 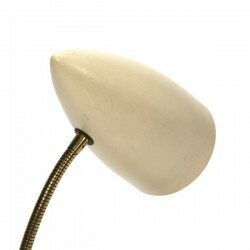 The dimension of the cap is 15 cm long and 8.5 cm in diameter, the height is flexible but up to about 27 cm.